I've never been against the Snyder Cut movement, at least not in a sense where I was actively stating that it was a bad idea and ridiculous and any of the other snark that others have tossed at it for the past half a year, but I was never fully on board either. It wasn't because I didn't want to see the version of Justice League that was actually created by Zack Snyder, it was because it took awhile for my eyes to open to the entire situation as a whole. When I first saw Justice League in theaters I did legitimately enjoy it, but I had cognitive dissonance with it as well. At the time, I compared it to the feeling I had the first time I saw Man of Steel, which I attributed to the fact that I had essentially been raised on years of Christopher Reeve's version of Superman and was unprepared for how different Henry Cavill's was going to be, and it took me a few more viewings to get that "conditioning" out of my head and realize how brilliant the film truly is. It wasn't the first time I had experienced such a thing with a DC Extended Universe movie, so I thought Justice League was more of the same. I even saw it two more times to confirm that was the case and that I still enjoyed it. I've since then come to realize the true reason for it, and it honestly scared the hell out of me as a DCEU fan, but it's something I've had to accept and now fully believe based on all things presented. The movie that we all watched on November 17 wasn't a movie that was sanctioned fully by Zack Snyder, and was in fact an attempt to please the bloggers, critics and masses who want the DCEU to be more like the Marvel Cinematic Universe in terms of tone, style and execution. I didn't want to believe that back in December and January when all of the stuff started coming out about how the movie was made and what the reshoots really were and what truly happened with Snyder behind the scenes, because if it was true then that meant that WB actively lied about the changes they made to that movie and reworked it to fit what they believed it should be without the creator's involvement, a director that I have been a huge fan of since he filmed the "unfilmable" with Watchmen in 2009. It wouldn't have been the first time that a studio ever lied to me. In 2012, J.J. Abrams told Star Trek fans that Benedict Cumberbatch wasn't playing Khan in Star Trek Into Darkness and he got Karl Urban and Alice Eve to say the same thing in public interviews multiple times. That's why the butterflies flooded my stomach when sure enough, halfway through the movie Cumberbatch's character tells Captain Kirk, "My name is Khan." I understood why they felt the need to lie, to preserve the twist of his reveal, but thankfully the movie was fantastic for me or else I would have been irate at their deception. Even in that situation though, the film and the decision to lie were 100 percent sanctioned by Abrams himself. No one took that decision away from him, no one changed anything about it behind his back. It was completely above board. That's not the case with Justice League and I'm finally ready to fully admit it. I've seen too much, heard too much and ignored too many of my own feelings to dismiss it any further, so now I'm supporting the movement toward getting the "Snyder Cut" released. Why am I doing this? Is it because I ultimately am dissatisfied with the version of Justice League that we got? No, I still own it in 4K Steelbook form and as long as it remains the only version of the movie available, it will be part of my collection. I DO actually still enjoy it for what it is. Is it because I think WB is evil and should be punished for their horrific crime? No, I don't consider it to be that serious. The tough thing to accept about the DCEU is that WB owns the rights to all of DC's characters and they can legally do whatever they want with them. What they did with Justice League amounts to a horrific business decision, made by a group of executives in a boardroom that if I had to guess, couldn't edit so much as an Instagram video on their own, let alone a feature length movie. They just saw how the public reacted to Batman v Superman: Dawn of Justice, in the wake of the success of the MCU, and made a conscious decision to change course on Snyder in the middle of his post production process, costing them extra millions of dollars in reshoots, frayed nerves from the people who worked on the production, and the loyalty of fans that no longer wish to support them, all for what amounted to an absolute bomb at the box office of $657 million, the lowest grossing and least profitable film in the DCEU by far. The reason I'm finally declaring my official support for this movement is because I'm a creative and I don't like what the Justice League situation means for the rest of movies in general, and to be very clear it has MAJOR implications on the state of studio movies without question. When you get down to basics and strip away the DC-Marvel stuff and the Snyder bias stuff, Justice League is a case where a studio trusted critics, bloggers and social media more than it trusted its own director that was hired to do a job. Now, is Snyder the first director to have been "double-crossed" by a studio? Of course not, but this is a unique case in the sense that it was his third of five movies for one franchise at that point, one of which was created and released without interference (Man of Steel) and another released with enough interference that warranted an extended version with 30 minutes put back where it originally was (BvS). So now with Justice League you let him film all 111 days of principle photography, you let him build a rough cut of the movie, he screens it for you and THAT's when you decide to change everything up? After most of the heavy lifting and conceptual design of the movie has been complete? After the man has made you billions at the box office despite polarizing reviews, meaning that you really don't have a logical reason not to trust his next effort will make you money? Above any and all fan or critical reactions, that's pulling the rug out from under a director in the worst way possible. I can't ignore that, not as a fan of movies and storytelling in general. I spent months defending WB against the idea that they were "rushing" to catch up to the MCU (which is still a stupid argument) and the executives basically do exactly that with Justice League. They thought they could go behind their director's back and turn his vision into an Avengers movie and it failed. Badly. Very badly. 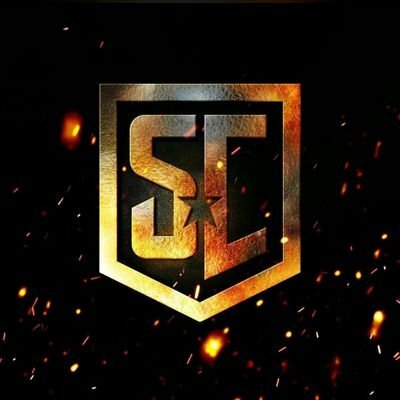 That is the crux of my issue with this situation, that a director was circumvented during post-production of his movie and it was heavily altered without his involvement, to the point where months later we are still seeing images, videos and reports of everything that was removed from the rough cut of the film that Snyder presented to the executives before everything changed. There's only so much of that a person like me can see before it finally becomes the straw that breaks the camel's back. There is clearly a story there within Snyder's original rough cut that he was hired to tell and WB decided not to let him tell it in favor of what they believed was the better option, no matter how much more it cost apparently. It's bad business, it's haphazard production and the story we were given about how little Joss Whedon changed was outright deception, which is really why I felt the dissonance in that movie theater. I knew what I was watching wasn't Snyder's storytelling most of the way through. I knew it was changed. I've seen enough of the man's work (everything except Legend of the Guardians: The Owls of Ga'Hoole) to know what his style is like, how his stories are framed and I knew it wasn't the same thing. I denied it, I made excuses for it and I ignored it, but I knew what it really was. I didn't want to accept that it had happened to him. I didn't want to deal with the idea that WB had truly done all of this behind his back because what did that say about me if I continued to support them? I reasoned that one out over time though, and it comes down to what I said earlier about it being a horrific business decision. I don't believe that WB was interested in screwing over Zack Snyder, I believe that they legitimately thought their decision to change the movie and lie about how much they changed was a good idea. It wasn't a malicious decision, it was an ignorant one, one that a dedicated and experienced film producer in charge of the DCEU likely wouldn't have made, and I've said for a while now that Geoff Johns isn't a film producer. He was never going to be what the franchise needed in that regard. One can only hope that it has that now with Walter Hamada, and indications are that he is exactly what they needed in this case. If Hamada is in charge a year ago and the execs tell him that they want Justice League radically changed in post-production, I'm willing to believe he'd have told them no and then listed all of the logical reasons it was a bad idea. Unfortunately, he wasn't in charge at the time and everything happened the way it did and here we are today now, with a movement of fans that are fighting to see the version of the movie that Snyder intended to be seen in the first place. This movement has been ridiculed, chastised and demonized in many cases by a wide variety of people. They have been called crazy, they have been called childish, they have been called annoying, and in some cases they have been called evil......and now I'm fully on their side. Because at the end of the day, all anyone who is really asking for a Snyder Cut wants is the realization of Zack Snyder's original vision for Justice League that he spent 111 days filming and built a rough cut of. It's not about putting WB's head on a platter or making them pay for their stupid business decision. Trust me, the box office and the continued degrading perception of the DCEU from the blogger and critic ilk are punishment enough for them, so now they'll step back and let Hamada run the show while they hopefully watch from afar where they belong, nowhere near an edit booth or a creative center of the production process. The rest of us just want to see his story as he wanted to tell it, which is all any director and creative wants when it's all said and done, to tell their stories as they see fit and let the audience decide for themselves how they absorb it. Sure, similar things have happened with other movies and other creatives have been dealt with in similar fashion by studios and if the industry keeps listening to bloggers and critics over their own directors, it will sadly happen again to someone else, hopefully not in the DCEU. The difference between those other situations and this one is that this one has a following and a hashtag, one that I avoided for a long time and actually muted for a little bit because of how much it flooded my Twitter timeline. Now for the first time I'm using it, because it has become something that I truly believe in, and I sincerely hope that one day WB is convinced to allow Snyder to finish his rough cut and that it is released in glorious 4K Steelbook form at Best Buy, which I will purchase on Day 1 and then immediately replace my current version of Justice League with it, without hesitation, even if I somehow like it less than the current version (which I seriously doubt at this point would be the case). I believe in respecting the visions of creators that are hired to tell their stories to the world. I hope that one day Zack Snyder gets to tell his and that the world gets to see it.